This morning, after somewhat odd dreams during the night, involving a small pack of albino wolves, some kitchen appliances and a car-sized block of mature cheddar cheese, I’m beginning to understand more so, why I’m deciding to undertake such a dangerous (people keep reminding me), orienteering, hobo-style challenge (don’t worry, I was struggling to find the link to my dreams as well). I have commented on my personality in previous posts and I think, due to my calm demeanour, that I rarely come across as stressed, hurried or worried. Projecting a carefree and “chilled” exterior occasionally is mistaken for laziness and frustratingly, sometimes not caring at all. Quite the opposite. I blame my large family and down to earth friends (and maybe too much gin) for my level-headedness, blame they should be proud of. I feel the need to challenge myself at a new level, to stretch my calmness, to challenge my decision-making, problem solving skills and to push my relaxed limits. The trek across the states is exactly that quagmire. I have a few other thoughts about “why” I’m doing this trip. 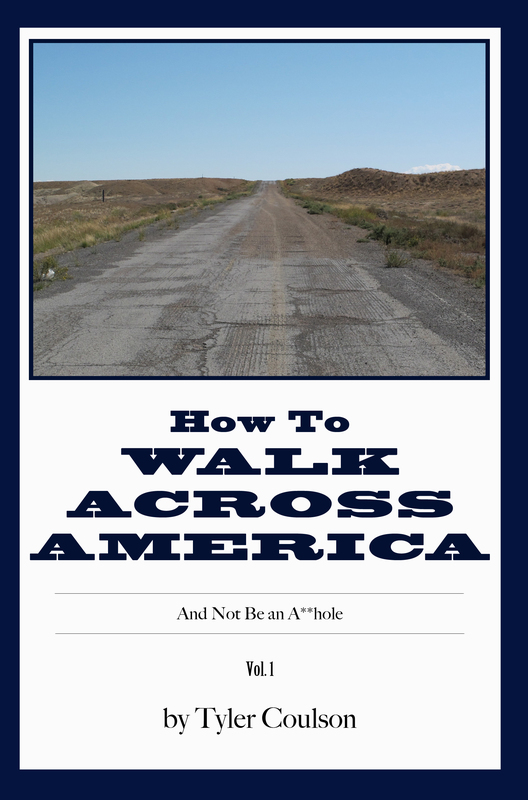 I agree with Tyler Coulson in his light hearted book (but it’s funny because its true), “How to Walk Across America…..and not be an a**hole. He points out that you don’t need a reason to start walking across the continent, but he also suggests that it’s handy to have answers in the bag when people ask, “why? !” Tyler walked the whole way, something I planned to do but my route is very different to the majority of those that hoof it. Maybe it’s a lot easier to become a traveller, an adventurer, a renegade, a lone pursuer of challenges or a globe-trotter of new (to the person exploring it anyway) territory if you dislike or rebel against the place you come from or reside. I don’t. I enjoy London and almost everywhere I have lived in the UK too. I take pleasure in adventuring back to my roots, visiting family, friends, meeting “localised”, accented strangers and the thrills and activities that are on my doorstep. When I reflect on what I have at home, I realise what I’m going to miss next year. However, I have come to realise that London is quite possibly the worst place to prepare for my adventure. Not only is it a metropolis of temptation and vice, but when enjoyed to excess (and it often is), the hardest struggle of all is to remain fit – both in body and in mind. Sustaining and developing health is one of the hardest challenges for this pending trip. Where extravagant consumption, socialising and enjoying the frivolity of rambunctious shenanigans is concerned, London doesn’t have to try hard to be an epic obstacle of what needs to be, and should be, the simplest of preparations for a draining challenge. With the onset of winter and the Christmas party season looming, I genuinely feel terribly out of shape and even though I sense that my feet are toughened enough to cope with quite a bit of mileage, doing 30+ miles a week in the wind and rain (loving the end of the London summer), with a much heavier back pack than in August, just isn’t enough. I weighed myself at the start of October and have hit 15 stone (210 pounds) – a weight I’ve never reached before, even when I had muscles in my early 20’s! I’ve started carrying my tent, sleeping bag and some spare bumf everywhere, which is a little odd as I’m not using it. I thought I might have lost weight by now but I’ve gained half a stone! I think I just have to succumb to the fact that I love and eat too much cheese. Just call me Wallace. Since starting to work in London about five years ago, I’ve realised that we substitute healthy living for the vice-riddled, fast-paced lifestyles that don’t compliment our disliked, smog-covered daily grinds. The majority of city workers aren’t even living or rather, working for the money and so I regularly fail to see what the happy medium is that we all congregate for. We use personal pollutants as supplements and excuses so we can continue our rebellion against what isn’t all that wonderful. It’s draining, ageing and much like the daily commute, monotonous and uncomfortable. I sound like I’m moaning about drinking, eating, doing various forms of drugs or simply sitting on packed and polluted transport for too long, quite the opposite. I’m just as much at fault for finding myself enjoying these discomforting excuses for a healthy lifestyle. It doesn’t bother me, but I find that it’s rather like Dubai – not all that sustainable for longevity of happiness, or indeed ones wallet, unless you are “a money person”. One day, the oil, or at least my youthful engine that needs natural lubrication, will dry up. I need a different source of fuel that isn’t cheese. That was quite a labyrinth of convolution. I insist it’s quite simple though. I don’t see myself settling in London as a family chap and hopefully, I just explained a little of why. I didn’t mention starting a family in London….that would be a topic for a much later blog post. All the people who have walked across, that I have read about or communicated with, have all said that after a few weeks, their stamina and mileage only increased as they continued on their journey. Cheese will be in short supply, even with the demand, so it’s inevitable that I should drop a few pounds. One thing I’m confident of is that once next years trek begins, short of an accident, I will get fitter as I progress. I recently expressed my travel concerns to my eldest cousin. My most shoulder-heavy burden at the moment for next year is washing. She laughed and proceeded to explain that she saw many an opportunity to cleanse ones clothes in the middle of nowhere; using people’s generous nature and borrowing their washing machines, using the river water that will hopefully be cleaner than me, turning my socks inside out to get an extra days wear and of course scrubbing them clean in the sink at McDonald’s, before making use of their hand dryers, obviously (I’m banking on McDonald’s not reading this and preparing for my inevitable visit). I don’t know why I’m worried. My dirty mind is now at peace. Oddly, I have not been worried about many other things. Even the govenment closure of National Parks, nationwide has not been a significant concern. They should be open next year and what actually concerns me more will be the costs of visiting them. It’s unfeasable in the UK that anyone should have to pay to see the natural landscape and I hear you are charged on entry in the states (in a vehicle). I know I should be concerned about more than just washing myself. 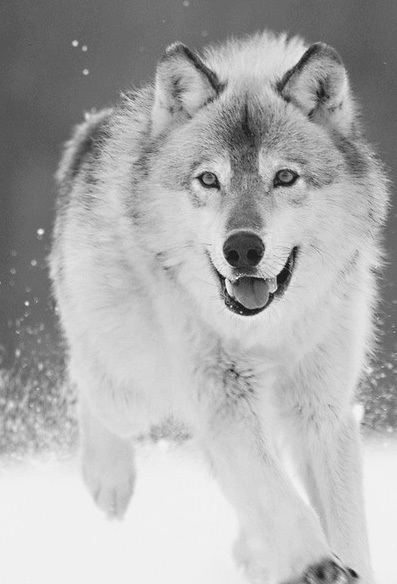 However, nature is something that I’m looking forward to, rather than something that will be a problem. Inevitably, I think I’ll be eating humble pie should I have a rucksack infested with fire ants, a tent over-run with termites, my pants failing to keep out mosquitos or my boots nested in by curious scorpions. All part of the adventure, right? I am less concerned about the natural aspects of my trip, than I am about the non-natural aspects. I won’t be saying that if I am caught in a sandstorm, a flash flood or a tornado, or if it starts raining sharks (you’ll be surprised what happens in America). “Man” is a concern more than bear, spider or snake, so much so that insuring myself against man-attack is something high on my agenda. I have just been reading the “Hostage Survival Guidelines” on the Direct Travel Insurance site (unlike McDonald’s, I hope they are reading). I thought I would do some in-depth research (in case someone thinks I have money) and cover myself thoroughly. All my money aside (it’s a small side) and apparently, should I be at risk of being taken hostage, I should read their tips for survival. At the top of their list, and I quote, “Items of particular importance to an individual in a hostage situation are having an up-to-date will….”. Yes, just the survival tip I needed before purchasing insurance that covers me for not surviving! To avoid death, I really do want him to spill his brains onto my dashboard (I may have suggested that too) and any kind of feedback from such a traveller always comes in handy. The chance to discuss the experience also doesn’t present itself often. I did receive a note saying he was “impressed by my trip preparation and research”. It’s odd, but that pretty much made my week. Thank god for my friend selection and their slightly odd and wonderful social circles. According to another frightfully splendid adventurer, I think I might be doing somethings right. You are rambling about your rambling! All will be well and you will come back lighter in stature and heart, richer in experience and wisdom and just as much loved (adored) as ever. I’ve never been anywhere, I have no experience to offer – but problems with washing? There’s my forte! This entry was posted on October 23, 2013 by winstonwolfrider in USA on $6 a day and tagged Commute, Hostage, Insurance, London, McDonalds, National park, National Parks, Survival, Travel, United States, Washing.